I wrote this recipe for the May 2013 issue of Men’s Health Magazine. I’m posting it up here now though – along with my original photos – in order to share the recipe with you guys in cup form. “Why in cup form? Why not post it in grams?” Let me tell you why: I like to post my recipes in cup form because I find that they’re much easier to follow that way and open to those without a kitchen scale. A lot of people have emailed, tweeted, instagrammed, and facebooked me to ask “how much is 1 cup in grams?” and the answer is always, “it depends on what you’re weighing.” Because, you see, you can’t convert cups to grams without taking into consideration what it is that you’re weighing. You can’t because cups measure volume and grams measure weight so, for example, 1 cup of whey protein is about 114 grams whereas 1 cup of coconut flour is 200 grams and 1 cup of egg whites is about 268g. The second most common question about cups I get is, “What kind of cups do you use to measure stuff? Do you use regular cups, like… coffee cups or… tea cups?” And the answer to that is no. I use measuring cups. You can get them from pretty much any and all kitchen shops! Or amazon. I got mine on amazon. Here’s the link to the ones I use in amazon USA and the same ones in amazon.co.uk. I like these because they have a long handle which comes handy when you’re reaching into big protein powders tubs. They’re also cheap (in price, not quality) so I’m a fan. Cups are also universal, I find, because not everyone measures in grams. Here in the US, for example, things tend to be measured in pounds or ounces (I remember going to the supermarket deli once and asking for 250 grams of turkey breast and the lady there looked at me all like waaaa?) whereas in the UK everything tends to be measured in grams. So yeah… that’s why I post my recipes in cups. But OK, enough bla bla bla about measurements. Let me give you this protein bread recipe. 1. Blend all the above ingredients in a food processor or blender. 2. Then, pour into a small bread loaf tin (I use a silicone one) and bake at 160 C (320 F) for about 35-45 minutes or until, when you stab the bread with a knife, your knife comes out clean. 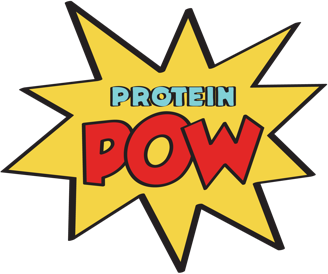 PS: Remember to bookmark this page to follow all my magazine recipes :-) And remember to check out page 9 of my Protein Pow(d)er Cookbook for a basic chart of common gram-to-cup conversions!